Quote Request / Information Request Form | Pacific Customs Brokers Inc.
For a quote on our services complete the form below and a member of our Client Services Team will contact you shortly. 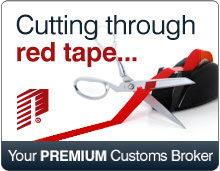 Can obtain releases for all customs commercial ports of entry in Canada and the U.S. Into Canada Into the U.S.
are there multiple types of products you are importing? are the goods for personal or commercial use? dimensions of the goods (height, width, length)? is there any special equipment required for pickup? what is the urgency for delivery?